Nothing lasts forever. Take advantage of the long summer nights while you still can because, before you know it, you’ll blink and the seasons will be changing again. That’s kind of how it is with your custom-made orthotics. They are made to last for a while, but not forever. It’s important to know what to look for when it comes to replacing them so you can avoid any other injuries or problems. 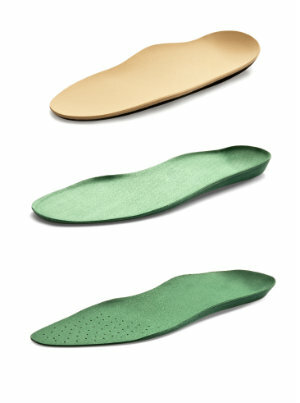 Orthotics are devices that are used to help correct problems with the foot. They can be over-the-counter for less severe conditions or custom-made for deeply rooted biomechanical problems or more severe issues, such as diabetes. They are usually made out of plastic, foam, or other such material. This type of material is meant to last for a while, but not forever. Eventually, even on the sturdiest of orthotics, it will wear down and will not be effective in treating your foot condition any longer. When this happens it’s very important that you replace your orthotic as quickly as possible. Wearing an old, worn through device is almost more dangerous than not wearing one at all. There are different factors that contribute to how much use you should expect to get out of your orthotic. This includes the type of materials it’s made out of, your activity level, your weight, the types of shoes you wear, how often you are standing vs. sitting, etc. If you have had your over-the-counter orthotic for a few months and suddenly you have pain again you might want to consider investing in a new one. Over-the-counter orthotics tend to wear down more quickly than custom-made ones do simply because the material is not as high quality. Custom-made orthotics will usually last at least a year if not longer, depending on the criteria mentioned above. If you have more questions about replacing your orthotics please call Dr. Peyman Elison and Dr. Viedra Elison at (623) 584-5556 to schedule an appointment with us at Fixing Feet Institute in Surprise, AZ. We can help you figure out if you need an orthotic and what type.